When our clients, Glenda & Bob, sold their backpackers and purchased a lodge, they contacted us to assist with various elements of the rebranding process. 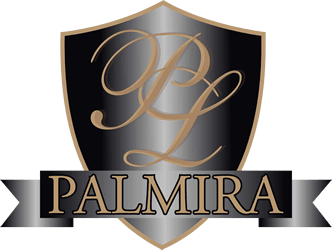 The lodge was originally called The Buccaneer Lodge but our clients wanted to rebrand it to Palmira Lodge. The online component of this rebranding would mean a new website to replace the old one (see below), an updated Google My Business account, new or updated accounts with the lodge's OTAs and channel manager. We got started with the website redesign on 11th December 2018 with the aim of going live in about 10 days to coinicide with the settlement date of the lodge purchase. We came up with an appropriate design and move the relevant content from the old website to the new one. The new website went live on Saturday 22nd December 2018 but there were still a few things that needed to be sorted. The changeover in Booking.com was not going as smoothly as our clients had hoped. So we stepped in and communicated with Booking.com on their behalf. We also needed to update our clients' channel manager and reconnect it to the updated Booking.com account. Within a few days, this was all sorted out. Since this was a rebranding which included replacing the old domain name, buccaneerlodge.co.nz, with a new one, palmiralodge.nz, there were a few more steps involved in our post-launch process than usual. Besides submitting the website's sitemap and doing the "Fetch as Google" for each webpage, we also needed to submit a change of address to Google so that it would transfer the authority of the old website to the new one. It should be noted that during these types of situations, links from both the old and the new websites will show up in Google for some time (6-12 months) until Google gradually begins to drop the old links from its index. Below is a screenshot which shows Google's search results for one of our clients' main keywords. Notice that they are in the local search results at the top as well as a few times in the organic search results. SIDENOTE: in case you're not aware, to show up in the Local Search Results (aka local map pack), you have to have a well-optimised Google My Business listing.